Looks like you have entered a product ID (7015) that doesn't exist in the product database. Please check your product ID value again! EDMONTON, Alta. /Troy Media/ – Every dad is different, so every dad enjoys his music in different ways. Here are a few Father’s Day gift ideas so he can listen to his tunes, podcasts or news any way he likes. 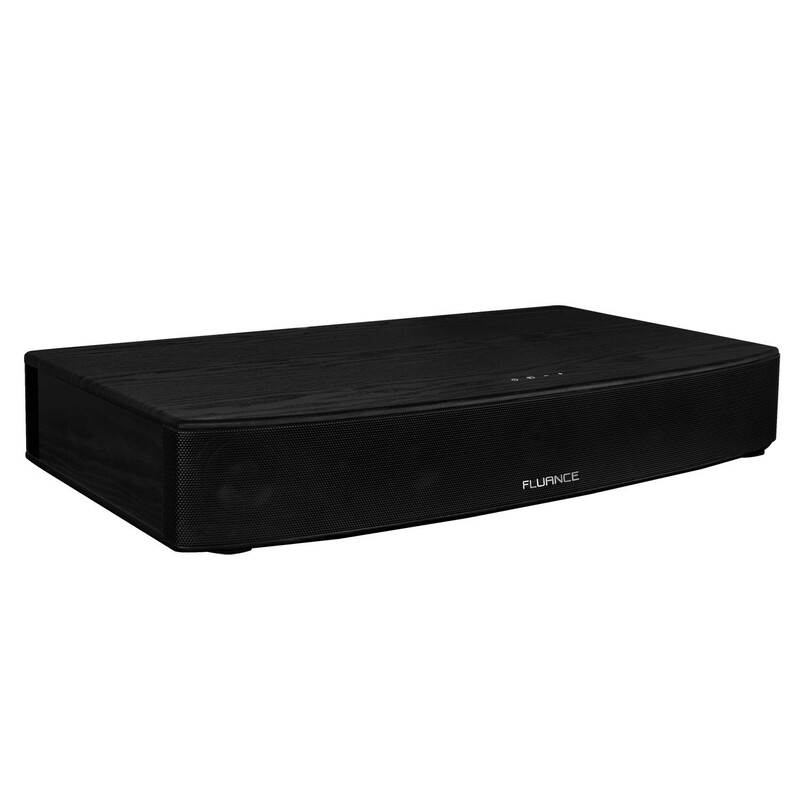 For the dad who enjoys home-theatre sound but prefers not to have speakers cluttering the family room or his male sanctuary, consider the new Fluance AB40 Soundbase Home Theatre System. He will marvel at the big 3D virtual surround sound this all-in-one speaker produces as he sits before his HD TV. No need for additional amplifiers, satellite speakers or a messy wiring. Under the hood of its stylish acoustically-tuned cabinet are dual 60-watt amplifiers, four strategically-placed aluminum lightweight drivers, and dual high-performance tweeters designed for warm natural sound and cleaner vocals and dialogue. And with Fluance’s proprietary bass boost, the AB40 will reproduce even the deepest lows without the need for a dedicated subwoofer. It’s all perfect for dad to watch his favourite movies. But the AB40 isn’t just for connecting to a TV. It has built-in Bluetooth aptX technology so dad can stream music wirelessly from his smartphones and any streaming source, such as Spotify or iTunes. Dad can also control the sound or select tracks at the cabinet or from his favourite chair with its pocket-sized remote. The AB40 comes with a lifetime warranty. It retails for $337.99 and is available directly from Fluance or Amazon. If dad likes to listen to his tunes outdoors but doesn’t want to sacrifice sound quality or subject his gadget to the harsh elements, consider the Soundcast VG1 portable Bluetooth speaker. The VG1 weighs only .45 kg (one pound) so it’s easy to carry around. But it puts out clear, immersive high-definition audio. Under the shock-resistant rubberized shell are premium five-cm aluminum-cone drivers and a rear-firing weighted bass radiator for deep, yet crisp, full-range sound. And while dad won’t likely take it for a swim or listen to The Beatles’ Octopus’s Garden under the sea, its IPX67 waterproof rating will keep it safe in up to three metres of the wet stuff. The VG1 is Bluetooth-enabled and supports aptX and AAC codecs so dad can enjoy his streamed audio wirelessly. If you get two of these, they pair seamlessly so dad can enjoy true wireless stereo. And should work call while dad is in the backyard, the VG1 has a built-in microphone for his conference call – and he can do it hands-free by asking Siri. The VG1’s built-in rechargeable lithium-ion battery is rated for up to 15 hours. The Soundcast VG1 retails for $225. It comes with USB and audio cables, a lanyard and an accessory bag. You can find Soundcast VG1 at BestBuy or Amazon. If dad is serious about health and likes to walk, run or work out, then the Jabra Elite Sport True-Wireless In-Ear Noise Cancelling Bluetooth Stereo Earbuds might be the right choice. If you think the name says it all, the Jabra Elite Sport earbuds are also waterproof, IP67 rated, so they’re protected against water immersion of up to one metre for 30 minutes. Built into the earbuds is a heart rate monitor and fitness analyzer. These partner nicely with Jabra’s SportsLife App for iOS or Android to customize dad’s workout and track his activity. The earbuds are tuned to offer bass-enriched sound. Dad can also make and receive calls with the dual microphones in each earbud. They’re optimized for call clarity through noise-cancellation circuitry. To make sure the earbuds have a good secure fit, there are foam tips, ear gels and ear wings in various sizes. The earbuds will run for three hours on a single charge. The storage container doubles as a charging case and acts as an extra battery to provide an additional six hours of battery life. 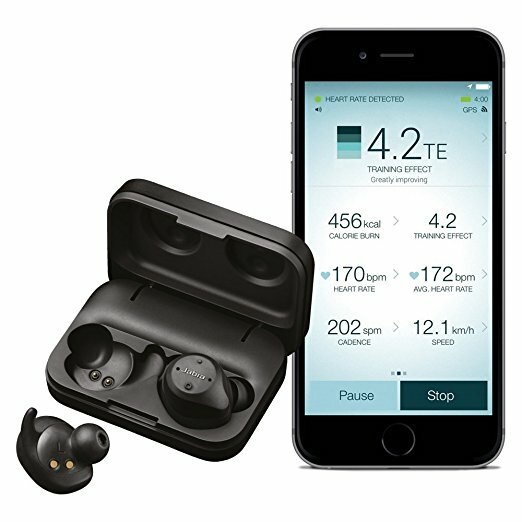 Jabra Elite Sport True-Wireless Earbuds retail for $299 and are available from Amazon.ca or Best Buy.